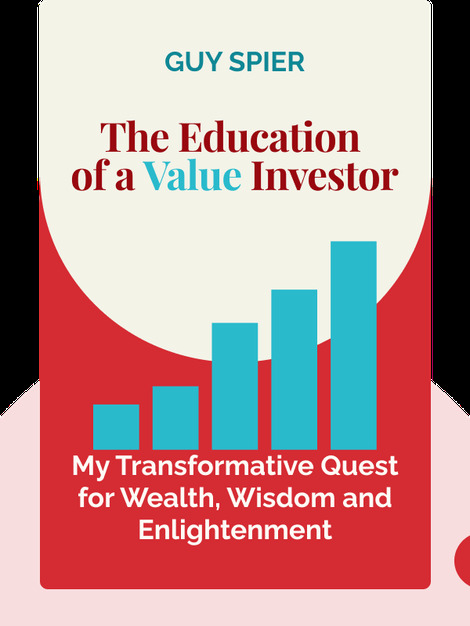 In The Education of a Value Investor (2014), Guy Spier recounts his transformation from greedy hedge-fund manager on Wall Street to a successful value investor. Sharing the incredible story of his career and the wisdom he acquired along the way, Spier has some surprising insights concerning, what he sees as a false choice between leading an ethical life and a financially successful one. With great admiration, Spier also names the people who were most influential to his professional life, explaining the specific effect each of them had on his mindset and career. 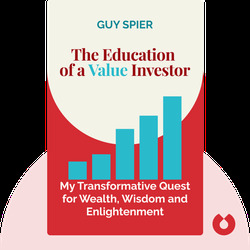 Guy Spier is an investor based in Zürich who ran the Aquamarine Fund for 17 years and became a leading figure in the value investors network. His work was inspired by Warren Buffet and Mohnish Pabrai, and he’s now a regular commentator for the financial media.